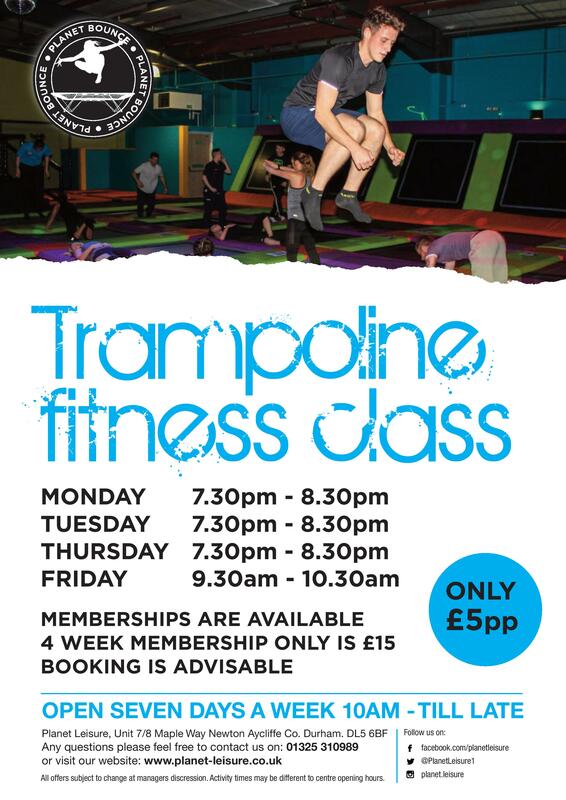 Here at Planet Leisure we offer two types of exercise classes, so if you’re looking for a fun new way to be active, why not give us a call and book for either a trampoline fitness class, or a salsa lesson. This session is one of a kind which really gets your heart racing. Our fitness coaches take you through a warm up, circuit style work out, and a cool down. Never done an exercise class before? Don’t worry! All the exercises can be adapted to suit any level of fitness. Give us a call on 01325 310989 to book your place now!